The hackathon held last weekend produced plenty of innovative ideas for fair data services. Over 30 teams took up the Sitra challenge. Of the high-level solutions created at the hackathon, the one by Digital Twin took first place. 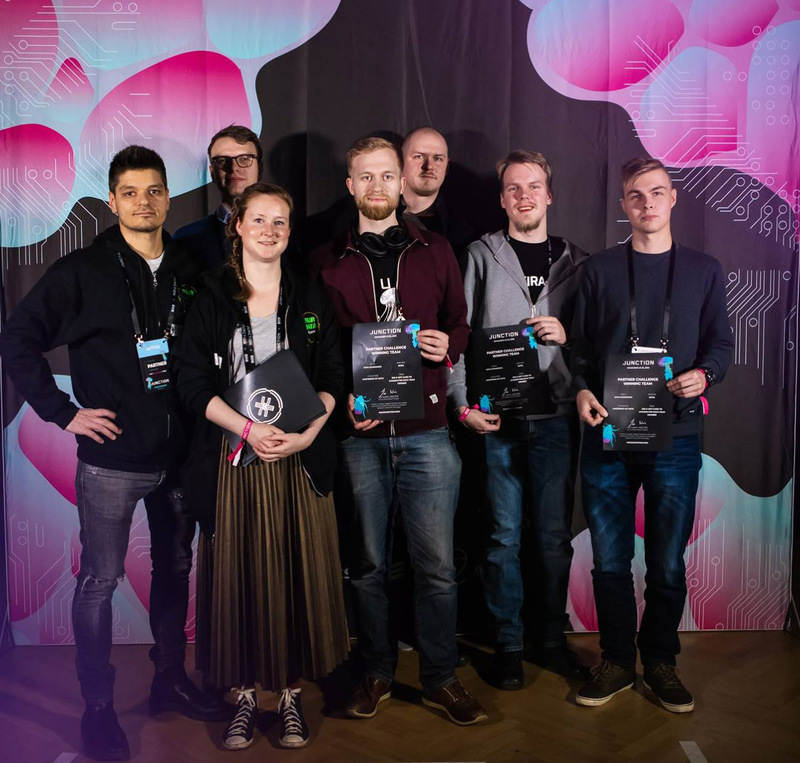 Junction, Europe’s largest hackathon and held for the fourth time in Finland, attracted 1,300 coders, designers and developers to Dipoli in Espoo, Finland last weekend. The teams worked on 46 challenges for which data wizards coded a prototype for a software solution during an energy drink-fuelled 48-hour period. Sitra participated in Junction this year with the Mastering My Data challenge, which envisioned a fair data economy. The challenge was to find solutions with the data portability and user activity at their core. With these fair data solutions, the user is able to manage and make use of the data that has been collected on them, and to receive new tailor-made services through an easy consent management process. Sitra’s Mastering My Data challenge was a huge success, attracting proposals from 35 teams. It was the second most popular challenge at the event. The winner of the challenge was the Digital Twin team, who worked on a digital twin that reflects the physical self of the user by combining e.g. social media data with data from moving and wellbeing applications. Digital Twin gives points on user’s behaviour and aims to support the user to change their bad habits and deep-rooted routines with understandable avatars and emoticons. The winning team of programming engineers from Jyväskylä, Lauri Mäkinen, Miika Avela, Atro Lähdemäki, Mikko Huuhka and Sami Autio, already knew each other and had participated in Junction before with good results. “What drew us to Sitra’s challenge this year was that it was broad, with no ready-made data sets or technology provided,” says Lauri Mäkinen, who was in charge of conceptualization in the Digital Twin team. “At first it was challenging to narrow down the problem, but once the idea took shape we were able to start working. Another challenge was demonstrating the future by using current technology, which demands creativity and finding a balance between the technical solution and conceptualization. In addition to the technical know-how of the competing team, support from Sitra’s multidisciplinary team of mentors was needed to create the winning solution. The future is shaped through dialogue and by challenging suppositions,” Mäkinen says. For Sitra’s panel of judges, choosing the winner from 35 teams was demanding. It was very important for Sitra to be involved once again in Europe’s biggest coding event. “For us, Junction is a great opportunity to get feedback on our new concept of fair data economy directly from the developers. Our challenge attracted more teams than we expected, which was a pleasant surprise for us and tells us that our project is interesting and topical,” says Kalliola. Second place in the Sitra challenge was won by the Horizon team from France with their virtual lifestyle coach application. Third place was awarded to the We Don’t Wanna Hook Up student team from Aalto University for their solution that promotes a new sense of community through event recommendations. “The service concepts that were created in this challenge surprised us with their innovative and fresh approach. This is exactly the kind of thinking we were looking for,” says Kalliola. The IHAN® team that promotes a fair data economy is already planning to participate in Junction next year. The Oneiro team won the Main Prize at Junction. Follow this link for more information on the winners of the different tracks and challenges at Junction this year. Please also see the interview of Sitra’s Leading Specialist and System Architect Juhani Luoma-Kyyny in Youtube (starting 30:00/1:12:13).